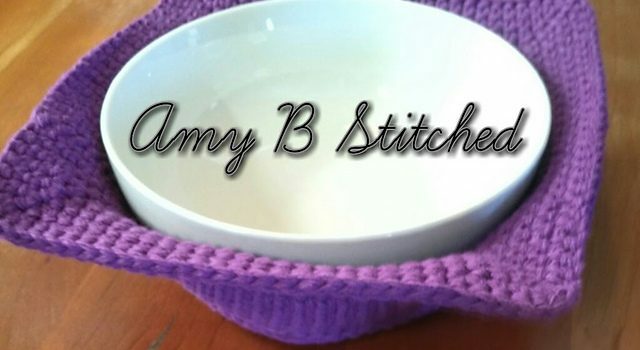 Absolutely perfect for your hot cereal bowl or your hot soup bowl and what a great way to use up the left overs! No more problems with carrying hot bowls to the table! 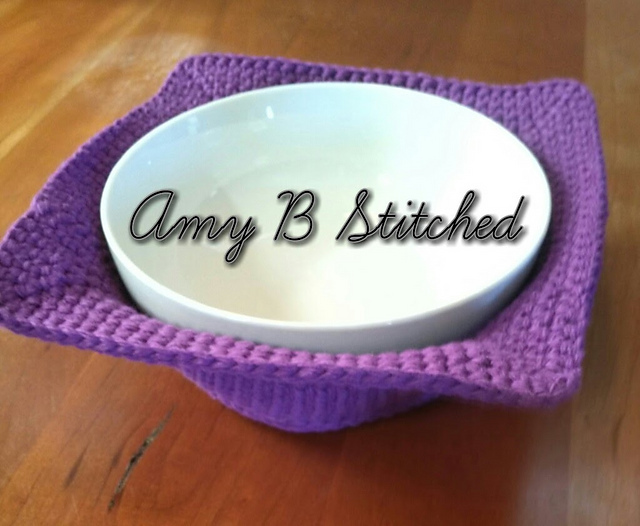 This marvelously practical Bowl Cozy Hot Pad by Amy B Stitched is a great and creative idea and a great solution for those who don’t always set a formal table. Make a bunch of them, they are such a big hit! Materials: size F (3.75 mm) crochet hook, Worsted Weight (medium, 4) Cotton Yarn 120 yards (Peaches and Cream, Peace and Bright Chartreuse, used for sample) , Yarn needle. · Base: 5 inches, measured from increases across. Thanks to Amy B Stitched for the article inspiration and featured image.